What happens if your car is declared a write off due to an accident, fire or theft? Then you discover that your insurance company payout will not match the original price you paid for your car. This scenario is faced by many motorists today. Even if you are not liable, you could find a significant shortfall between the amount you receive in settlement and the price you originally paid, depending upon the rate of depreciation of your car. Mangoletsi and AutoProtect offer all our customers Combined Guaranteed Asset Protection, through AutoProtect’s Combined GAP and RTI Insurance product. Whether you have paid outright for your vehicle, or made a finance agreement, you can be fully covered with Combined Guaranteed Asset Protection. Imagine that you have bought your vehicle outright and paid £26,500 for your car which is unfortunately stolen and not recovered. The motor insurance provider then declares it a total loss and they value the car at £14,000 using current market conditions. RTI can pay up to the difference of £12,500 to top it up to the original £26,500. Imagine that you have financed your vehicle and paid £26,500 for your car which is unfortunately stolen and not recovered. The motor insurance provider then declares it a total loss and they value the car at £14,000 using current market conditions. However, you still owe the Finance Company £17,500. Finance GAP insurance may pay out up to the £3,500 difference. 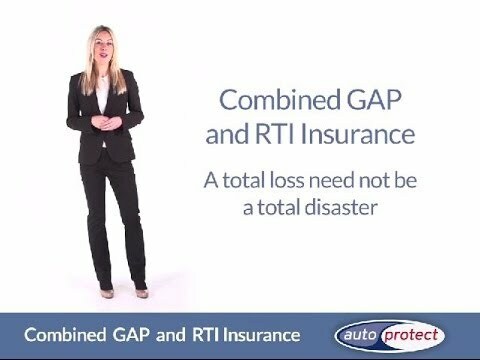 Combined GAP and RTI insurance could pay out the greater of either the RTI or GAP pay-out, protecting you whatever your circumstance. It's that simple!